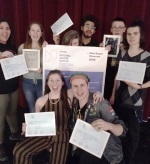 The Centennial Collegiate Vocational Institute Spartan Mathematicians have claimed the first place prize at the Canadian Team Mathematics Competition. To celebrate, the University of Waterloo decided to turn this into a competition. 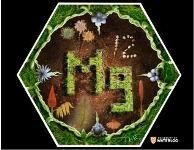 The goal was to deconstruct the periodic table to represent the year the elements were discovered. The Centre Wellington District High School girls’ hockey team claimed the Ontario Championship in AAA girls’ hockey on March 22. Laurelwoods Elementary School has won a raffle that was put on by Ontario Active School Travel. 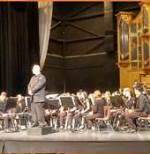 The Guelph Collegiate Vocational Institute Sr. Symphonic Band has been invited to perform at McMaster University as special guests of the McMaster University Concert Band. It warmed up just enough for a fun day in the snow and sun at Taylor Evans Public School. On Friday, TEPS staff and students participated in the Winter Festival Games. Music Students from many Upper Grand District School Board schools and other school boards embarked on the first ever Jazz Education Day hosted by Guelph CVI. Students at JD Hogarth Public School celebrated the 100th day of school on February 11 by getting creative. Aberfoyle Public School placed in the top two spots at the Skills Ontario Cardboard Boat competition in Fergus on February 5.